Mao Weitao is considered a living treasure in China. She imitates men in the opera roles she plays—a reversal from Imperial China when women were not allowed on stage so men played female roles. I was introduced to Yue Opera in Hangzhou, Zhejiang Province about a decade ago. Mao Weitao and her husband have their own theater company near the shores of the famous Westlake. My wife translated while I watched the live-opera performance in fascination. 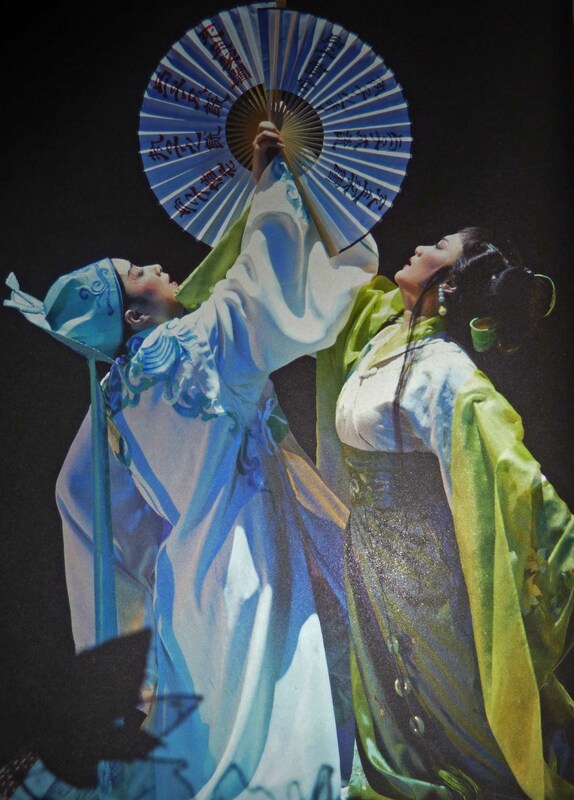 The costumes were lavish and the acting and opera was dramatic with a backdrop of classical Chinese music. The challenge today is to keep this form of Chinese opera alive. The audience for opera is shrinking dramatically in China while remaining popular with the older generation. Television, movies and the Internet are claiming the shorter attention spans of the younger people. Mao Weitao, considered an innovative genius on stage, adapts and works to keep the art form alive. According to her husband, no two performances are exactly alike. This entry was posted on Sunday, March 14th, 2010 at 08:00 and is filed under China, Chinese Culture, Chinese history, Chinese literature, Chinese women, tourism. You can follow any responses to this entry through the RSS 2.0 feed. You can leave a response, or trackback from your own site.